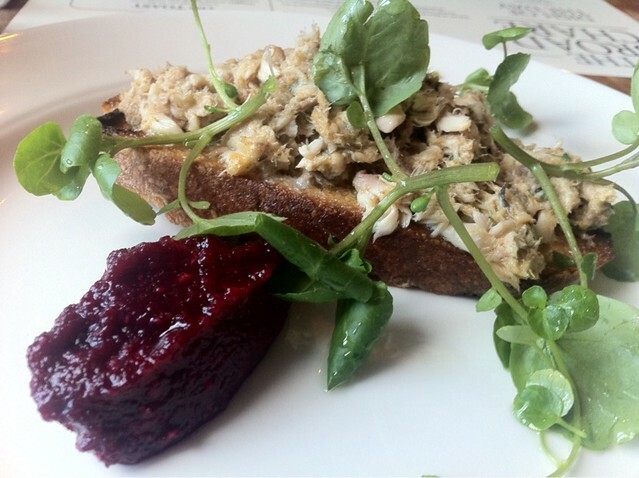 Potted mackerel on toast with beetroot chutney. A hearty starter – sweet and savoury meat with a spicy edge and a dollop of the earthy chutney went down well. The toast was perhaps a little too crunchy. 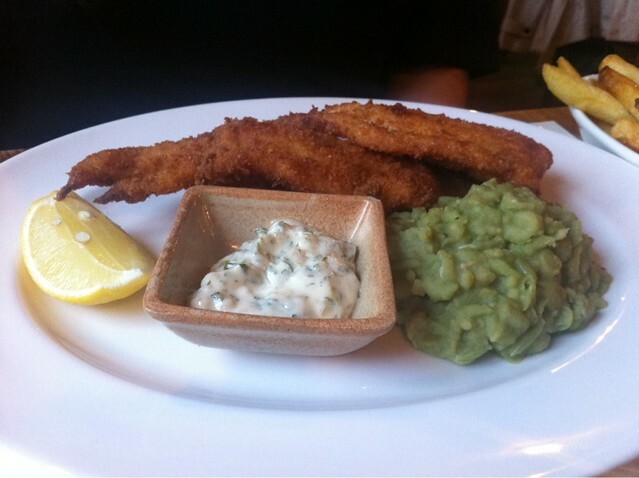 Proper fish fingers, tartare sauce and mushy peas with chips. Our chips were not up to scratch compared to our first visit! Good, but not amazing as in the bar downstairs. I’d suspect this was due to the mad busy kitchen – still. We are big fans of fish & chips here at Newcastle Eats, and this has joined the highest ranking of the lot. Loads of fish, classic accompaniments, and great flavours all round. We did comment we’d have preferred the fish lightly battered rather than breadcrumbed – but that’s maybe a personal preference. An absolute textbook burger. The meat would have been brilliant on it’s own, real meat this, not an iron-y tasting mince ball that a lot of burgers typically are. 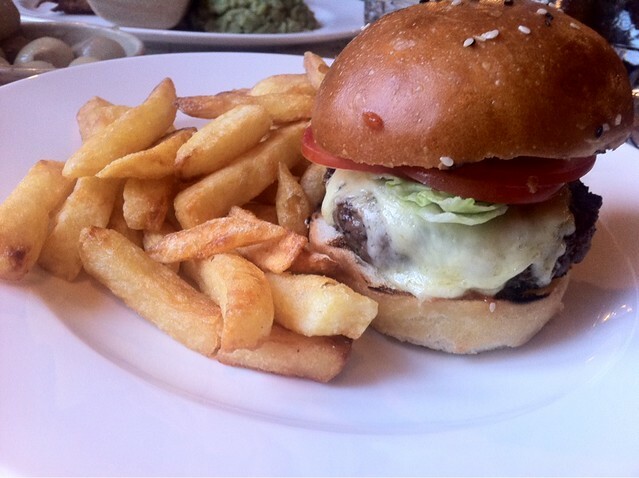 Classically done with a fantastic brioche bun, lettuce and tomato – bettered only by loads of cheese from our favourite local cheese producer. The only thing missing might have been a sliver of bacon! Definitely recommend any burger fans try this one out. A good burger is hard to come by in Newcastle! 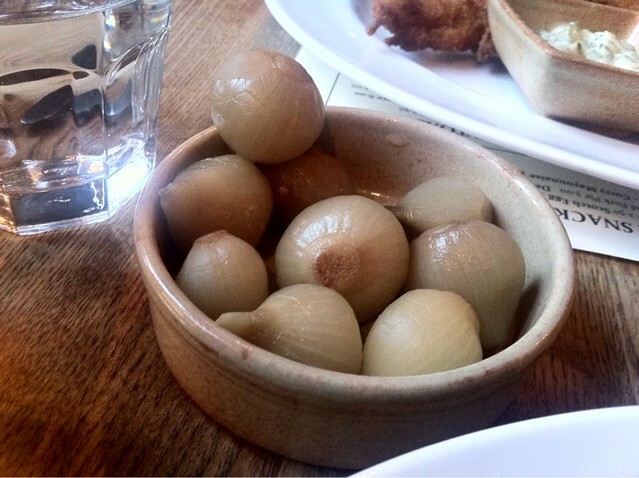 We also had a side of pickled onions – which were also fab. Crunchy, sweet and tangy, and an absolute world away from the ones in the jars (you know the ones). A proper pub snack!! In the downstairs bar with a pint of Writer’s Block and some of these – you can’t go wrong. 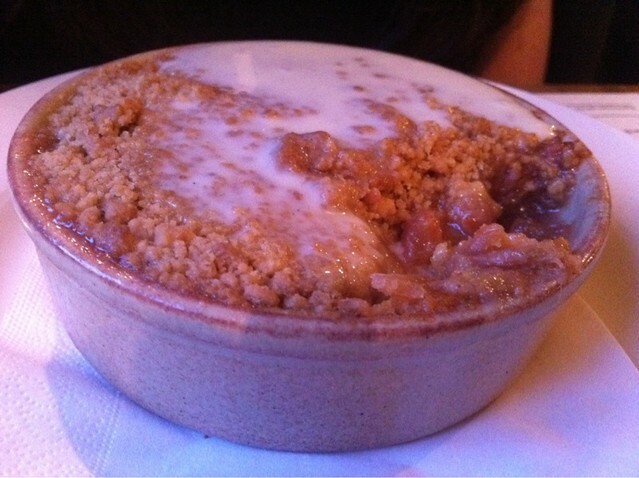 Rhubarb crumble with vanilla custard. A massive dessert! This was easily enough for us to share – not that that’s a complaint of course. The custard was predictably lovely, if a little loose, and the crunchy, not too sweet crumble was great with the soft tart rhubarb underneath. We previously give The Broad Chare a five-star review, and based on this great pub food, that won’t be changing anytime soon. Click here for our full 2011 review of The Broad Chare.